That time Christopher Lloyd burped into his microphone in front of hundreds of people. And then didn’t look embarrassed about it. All the cosplay. Seriously, all of it. There was GladOS, Bee (from Bee and Puppycat), Kirby, a Kyoshi warrior, Princesses Bubblegum and Lumpy Space, Robot Chicken, and every superhero mini me you can imagine. I had a lovely conversation with Catwoman, and accidentally bumped into some zombie stormtroopers. I went as Velma, and there were about fourteen other people who did too (but none of them had an awesome magnifying glass necklace, so it was okay). Meeting Felicia Day and confirming that she really is the nicest person on the planet. Having Edward James Olmos and Michael Hogan crash a panel with Jamie Bamber and James Callis. Surprise Battlestar reunion the night before the actual Battlestar reunion! Adama roaring “SO SAY WE ALL” at least eight times over the course of the weekend. George Takei doing this a lot. Making a “KHAAAAAN” joke and having strangers around me laugh in appreciation (this probably says more about my terrible sense of humour than anything else). Going to a panel called “Where are the queer superheroes?” and being introduced to this song (it is still stuck in my head). The crowds. Holy crap the crowds. 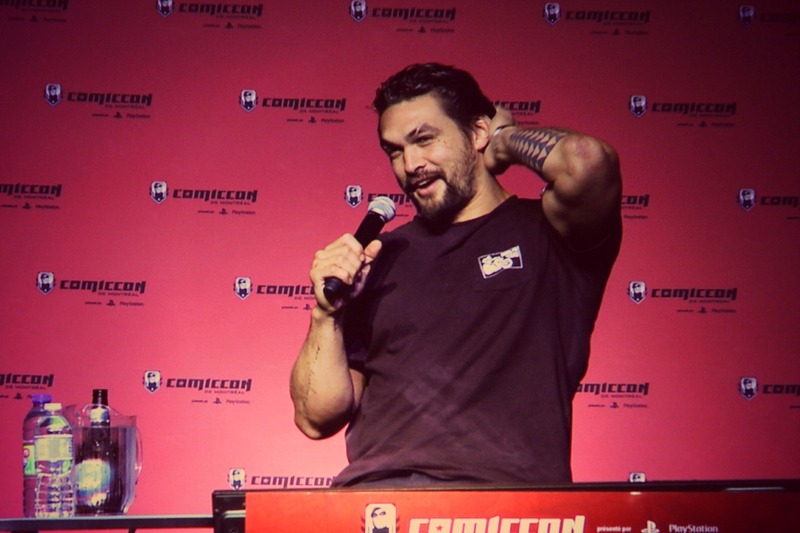 Some lady asking Jason Momoa to take his shirt off on stage. Girl, get a grip, this isn’t Chippendales and that is not an appropriate thing to ask. Plus, you already heard him say “Moon of my life” in Dothraki like three times. Waiting until the last minute to do my shopping and having everything be sold out.